We are in Novello (Italy), a village in the Langhe region, famous for its Barolo wine. 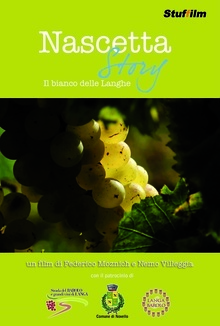 Here, among the Nebbiolo vineyards, now a Unesco World Heritage site, a white grape variety called Nascetta has always grown. However inconsistent yields and difficult cultivation, against the worldwide success of Barolo, decreed its decline. In the late 80’s only a few Nascetta vines were left, and as a wine it was practically unknown. Ten years later, a group of “visionaries” discovered that an old winemaker from Novello still cherished a bottle of Nascetta, dating back to 1986. The bottle was uncorked and drunk… and all eyes lit up at the experience. This was to be the first step towards the rebirth of Nas-Cetta in the district of Novello.